Microids will very soon be releasing the remake of Toki on Switch. For a look at some footage, check out the video below. 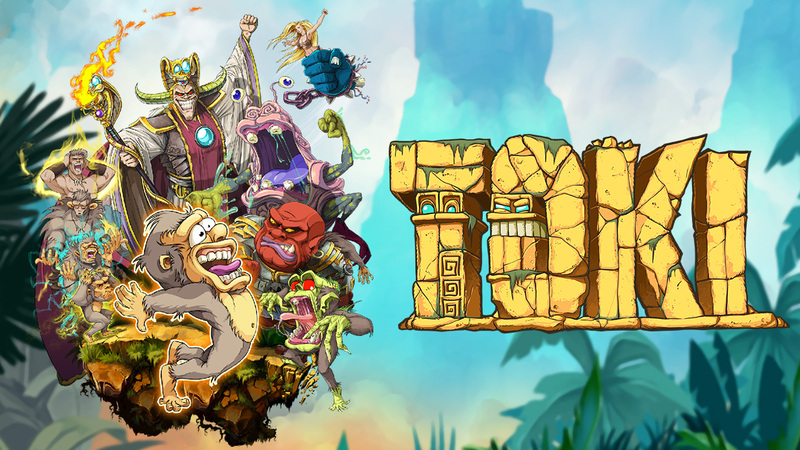 Microids published a launch trailer for the action/platform game Toki. Have a look at the video below. Microids is currently prepping the remake of Toki for Switch. It was originally slated for the end of this month, but will now be seeing a slight delay to December 4. 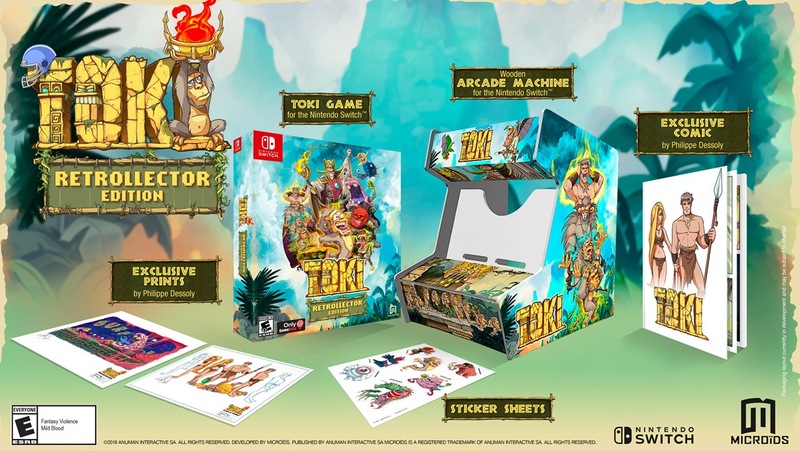 Microids previously announced the Toki Retrollector Edition, though as it turns out, it’ll be retailer-exclusive in the states. A listing shows that only GameStop will be selling the limited edition in North America. 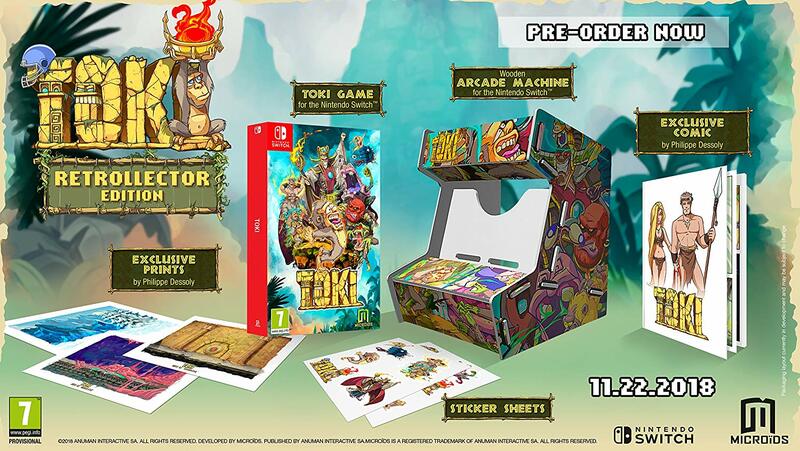 In case you’re curious, the Toki Retrollector Edition includes the game, wooden arcade machine, exclusive prints by Philippe Dessoly, comic with an original storyline also illustrated by Philippe Dessoly, and a sticker sheet. Pre-orders are open here. 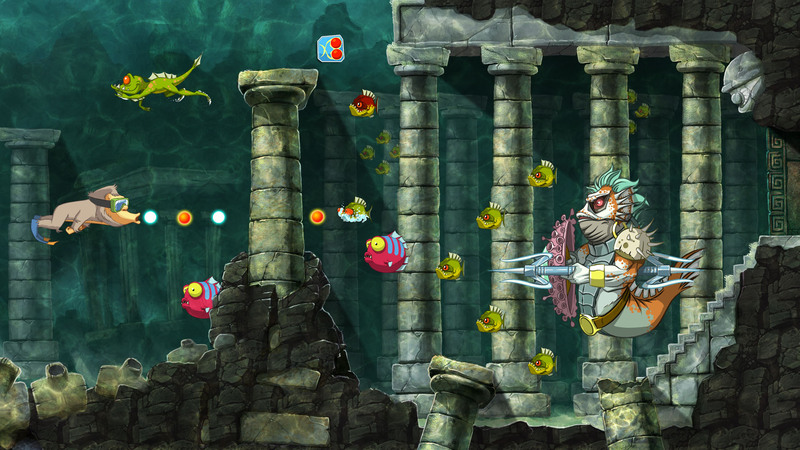 Microids released a new gameplay trailer for its remake of Toki. Have a look at the video below. Two of Microids’ Switch releases have been delayed. Unfortunately, Moto Racer 4 and Toki will be out later than expected. First up, Moto Racer 4 will now ship on November 20. Toki will follow on December 4. The US and Europe will both be impacted by the delays. Microids did not provide a reason for the change in release schedule. 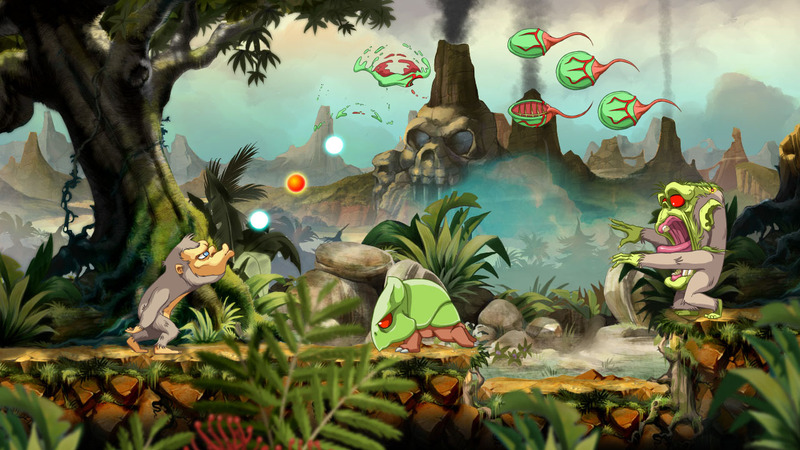 Today, Microids provided brand new information about the Toki remake for Switch. The shoot ’em up platformer, which originally came out for arcades in 1989, is seeing a release in November.